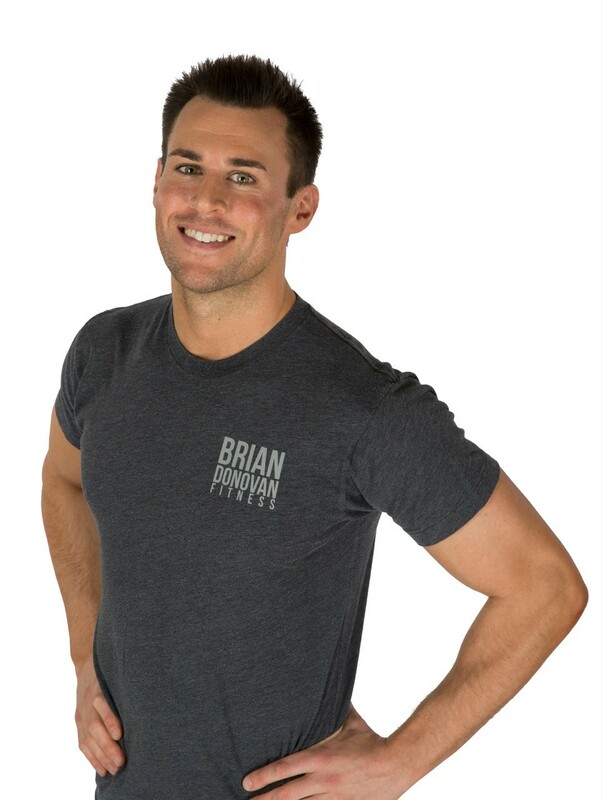 I have over 10 years of experience as a full-time Personal Trainer and business owner, helping men and women of all different fitness levels lose weight, build lean muscle, and improve their health. In 2014, I was voted Chicago’s “Best Personal Trainer” by Chicago Reader magazine, Best Of Chicago edition. 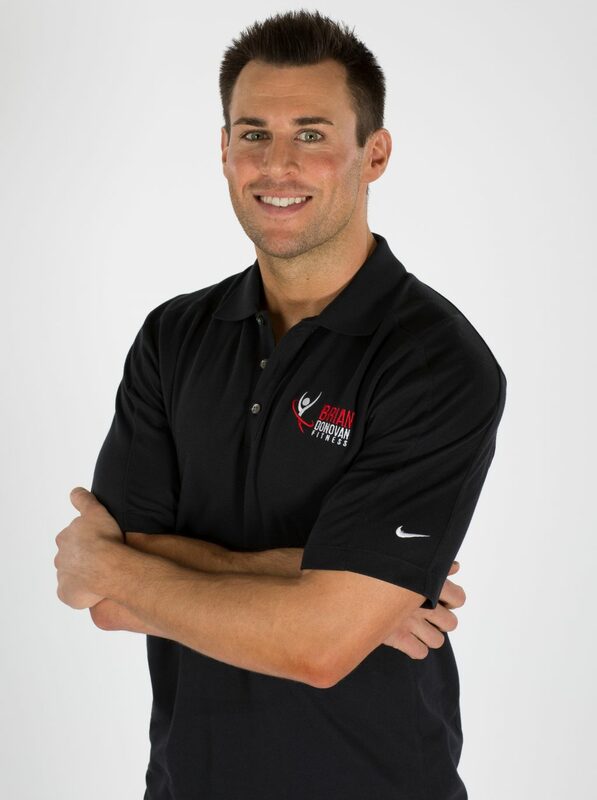 I also enjoy writing about fitness and nutrition and have been published in a variety of media publications such as Muscle & Fitness, The PTDC (Personal Trainer Development Center), Bach Performance, and Voyage Chicago. I believe that fitness should enhance your life, not consume it. 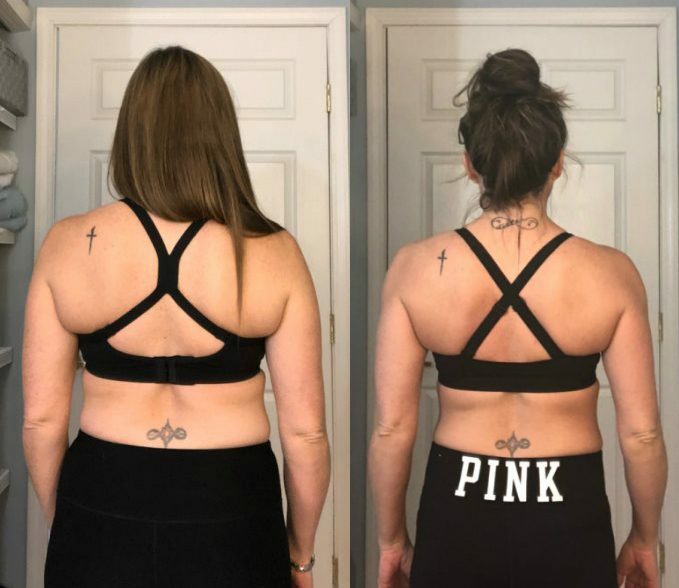 My job is to give you the tools, knowledge, accountability, and confidence to implement changes that fit within your lifestyle and allow you to reach your health and fitness goals. 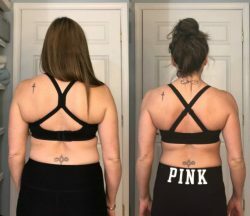 Sessions with me are enjoyable, challenging, educational, and you’ll probably be a little sore the next day 🙂 Your program is completely tailored to your needs and goals, taking into account any restrictions or limitations you may have. I meet you where you are. Plus, your first session is on me, so you truly have nothing to lose except the weight! I’ve got an amazing story for you. 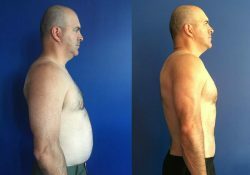 It’s about a client of mine – Dave Melody – who lost 120 pounds in 12 months. 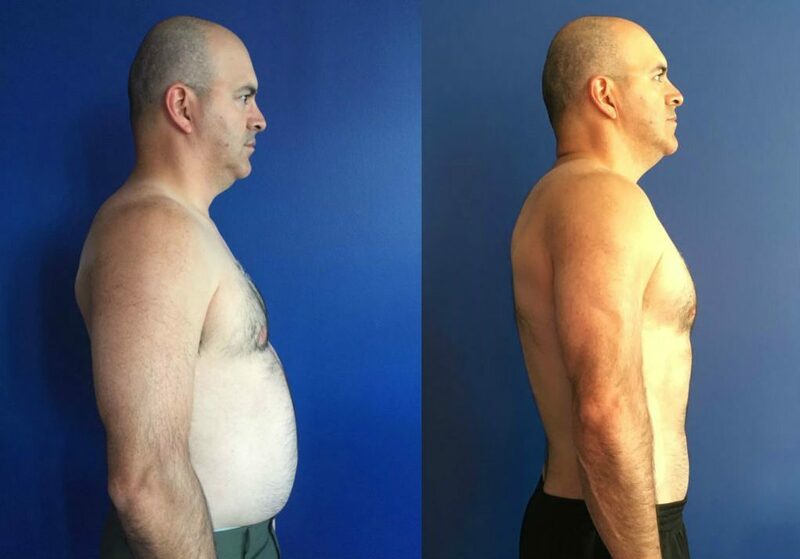 When Dave started, he was 315 pounds and had a slew of issues. His knees were bad, his arches were flat, and he couldn’t run at all because of his weight and the pain it caused. Dave smoked a pack of cigarettes a day. He drank too much. And he was addicted to fast food. 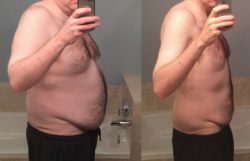 Over a 12-month period, Dave was able to break the negative habits that were holding him back and replace them with new healthy routines and habits. …In October 2018, Dave ran the Chicago Marathon in 3:55, accomplishing his goal of running a sub-4-hour marathon. Running was absolutely out of the question when Dave started. He’s now run 4 marathons to date. As amazing as Dave’s 120-pound weight loss transformation was though, the truly incredible thing is that he’s kept the weight off for over 3 years. 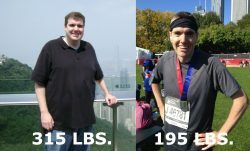 You can see his marathon picture below labeled “315 lbs. to 195 lbs.”.